In 1972 and 1973, they had a few hits in the U.K., including the number six single "All Because of You" and "Can You Do It," which reached number 13. 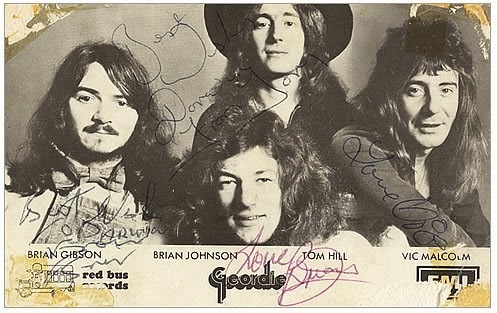 Their sound was influenced by British rock bands of the day such as Led Zeppelin, as well as some glam stompers, with Johnson's distinctively abrasive singing strongly in evidence. 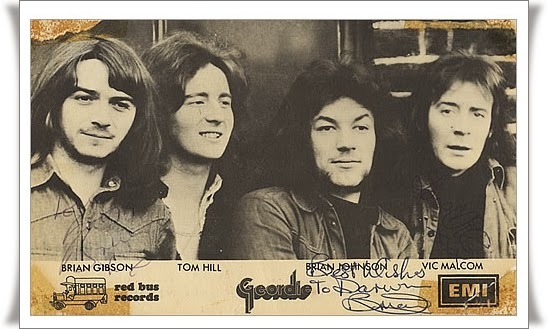 The original (from February, 1972) line-up included: Vic Malcolm (lead guitar), Tom Hill (bass guitar), Brian Gibson (drums) and Brian Johnson (lead vocals). Their first single, "Don't Do That" broke into the UK Top 40 in December 1972. 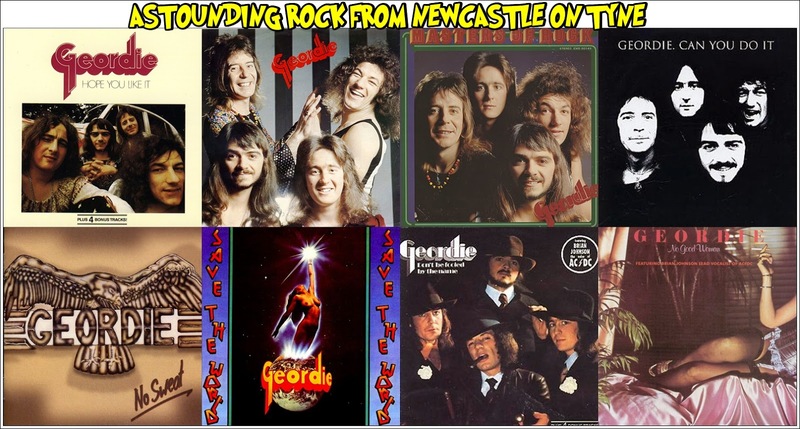 In March 1973, Geordie released their debut album, Hope You Like It on EMI label. Trying to compete with such British glam rock outfits as Slade and Sweet (Geordie supported the former on a UK tour, as well as the latter at a concert at the Rainbow Club, London in March 1973), they achieved U.K. Top 10 status with "All Because Of You" (April 1973) and had a U.K. Top 20 hit with "Can You Do It" (July 1973). They also had several appearances on BBC Television including 15 appearances on Top of the Pops, one of which was in November 1972. Their second album, Don't Be Fooled By The Name (1974), including a rather rousing version of the "House Of The Rising Sun", but sadly it didnt yield a hit. 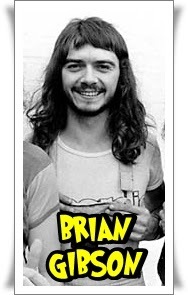 Brian Johnson played "House of the Rising Sun" by Geordie on his debut BBC Radio 2 show on 31 Sept 2012. 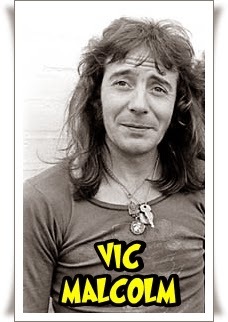 Amongst his other reminiscences during the debut show were his days in Geordie, appearing with them on TV in Belgium, and meeting Freddie Mercury of Queen. After their 1976 album Save The World, frontman Johnson left for a solo project. The band's final album, No Good Woman, in 1978 consisted of three unreleased tracks with Johnson and new material recorded by Malcolm with future Dire Straits keyboardist Alan Clark, vocalist Dave Ditchburn, bassist Frank Gibbon, and drummer George Defty. Johnson had meanwhile begun to perform as Geordie in a new line-up in which he was the only original member. 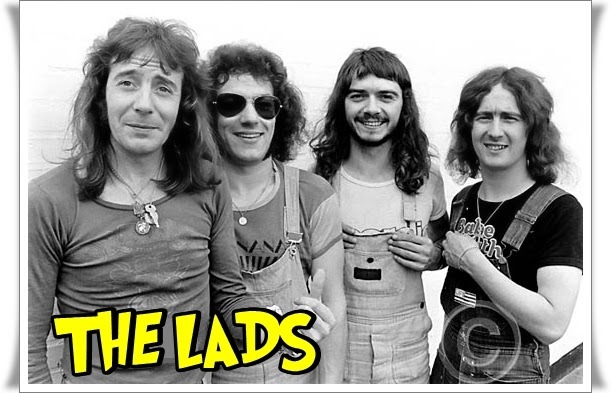 The band signed a recording contract in 1980, but finally folded that Spring when Johnson became a member of AC/DC to replace the late Bon Scott. 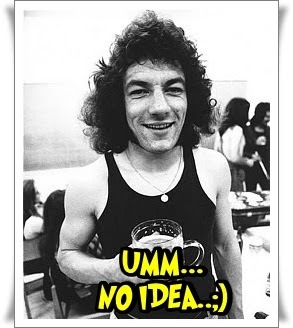 After AC/DC's lead singer Bon Scott died in February 1980, AC/DC chose Brian Johnson (whose vocal talent had previously been praised by Scott) to take over lead vocal duties. Johnson first appeared with AC/DC on their album, Back In Black. At the end of 2001, during an AC/DC hiatus, Johnson had a one off reunion, for a short UK tour, with Geordie's 1977-1980 line-up, performing largely hard rock cover versions. 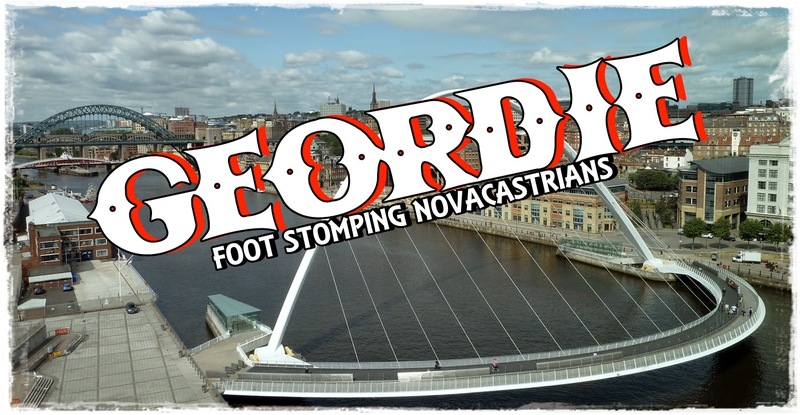 They were known as Geordie 2. 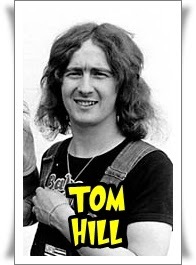 I remember going to see Geordie at the Reading town hall about1973 the town hall held about 1500 and only about 150 turned up, there were kids all over the hall we went upstairs on the balcony looking down on the stage we had a great view. When the band came on Brian Johnson asked us to come down round the stage, I suppose to get everyone in one place, and I remember he wasn't best pleased with the warm up DJ either, because he had played most of their set by playing all the singles, we had a great night anyway. ... happy days. STEVE READING.